Sorry I've been MIA for the last week or so, but I've been pretty sickly lately. Without going into too much let's just say blogging on strong pain meds isn't the smartest idea, so I'm just going to post a little quick diddy here and will start back posting once I'm up and around again. 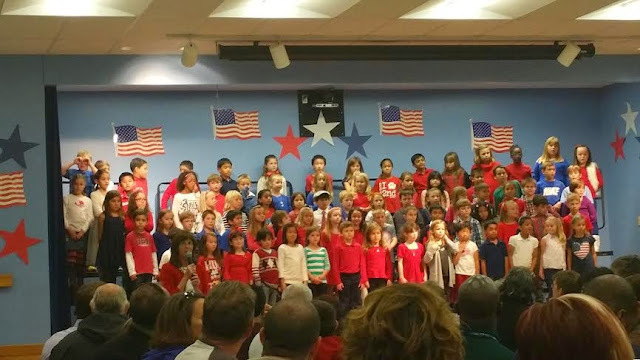 Last night Bella had a Veteran's Day show at school. The Hubs, Grandma, Grandpa, & I all went to see and cheer her on and she did awesome! Here's some pics from it. So proud of this little girl!! 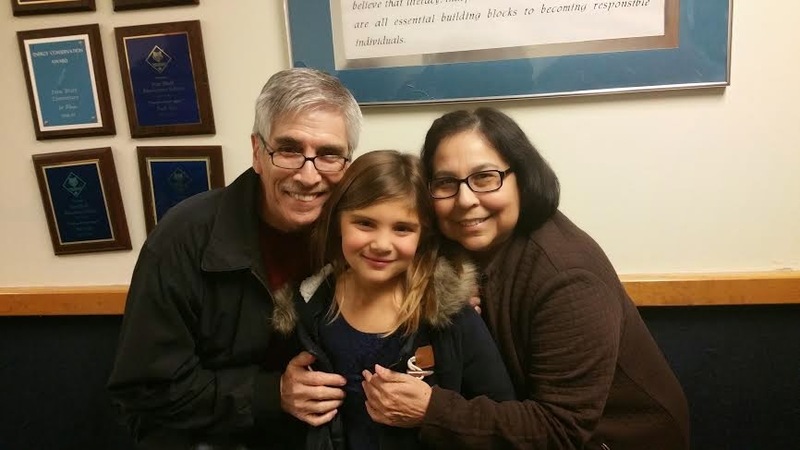 She's so lucky to have such amazing grandparents! They show up to every show, every game, etc. These kids did amazing last night and got big cheers from the entire crowd! Way to go 2nd graders! 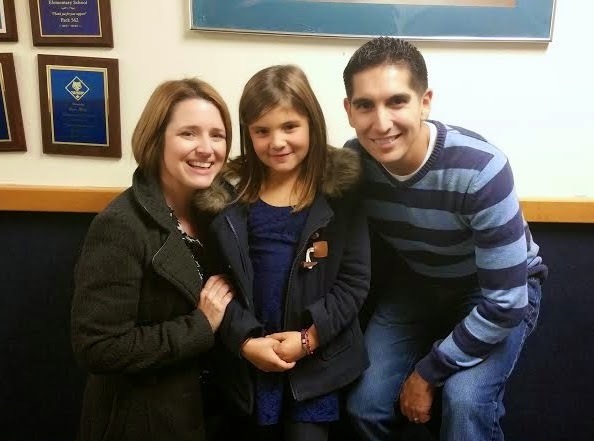 The 3 of us after her show. Bare with me, I had no makeup on and feeling not so great, but wouldn't have missed her show for the world!